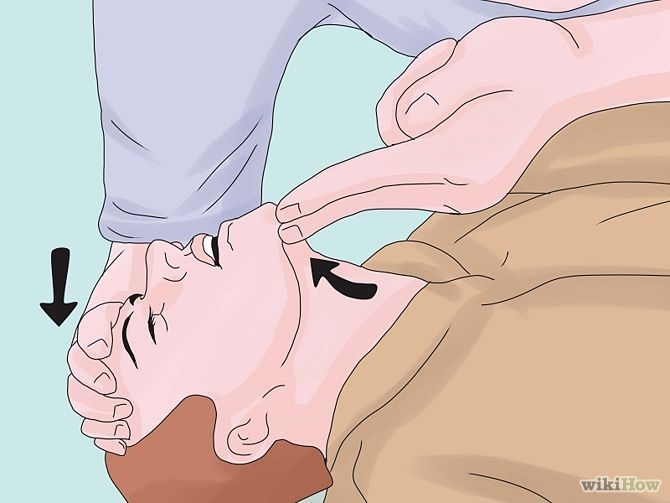 Put your hand on patient's forehead, two fingers on their chin and tilt the head back to open the airway. (if you suspect a neck injury, pull the jaw forward rather than lifting the chin). If this fails to open the airway, do a careful head tilt and chin lift. Place 2 hands on the breastbone or centre of chest. Push straight down about 2 -3 inches and then let the chest all the way back up. Do that 30 times, about twice per second. Continue to do chest compressions until help arrives, the patient wakes up or you are alone and exhausted. It's normal to feel pops and snaps when you first begin chest compressions - DON'T STOP! You're not going to make the patient worse. Switch it on and follow the voice instructions. If at any time the patient shows signs of life and is breathing normally switch the defibrillator off and place the patient in the recovery position. Leave the pads on the patient's chest and monitor their breathing. Of they stop breathing again, turn them onto their back, switch the defibrillator on again and follow instructions. This App was made with funding provided by Trossachs Search + Rescue Team & The Friends of Loch Lomond and The Trossachs based upon an original app created by Atholl Road Design for Highland Perthshire Communities Partnership. The app lists public access defibrillators managed by a number of community organisations including Trossachs Search + Rescue, Garelochhead & Rosneath Peninsula First Responders, Helensburgh & Local District CPR/Defibrillator Association and several community councils/ trusts. 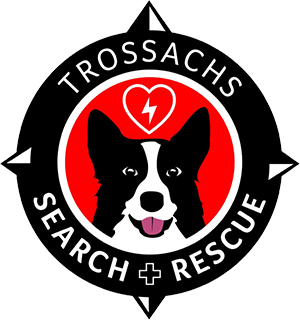 Trossachs Search + Rescue manage the database. The Pitlochry High School computer and Art classes designed all of the icons used in this app. Please do not leave this app open when you put your phone away - there is a danger you might call 999 by accident. Using the GPS function on most phones will drain your battery very quickly so use with caution. In Loch Lomond and the Trossachs the GPS satellite readings vary in accuracy up to 30 metres so the map locations are a guide and may NOT be precise. 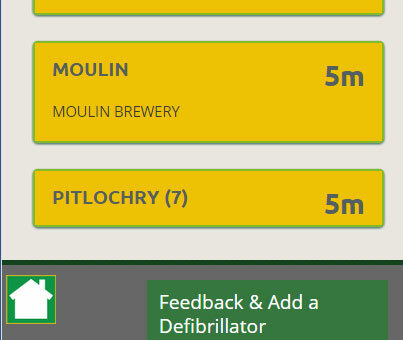 You can use this App to familiarise yourself with the location of Defibrillators in Loch Lomond and The Trossachs by using it without the location finder. You can choose to browse a list of defibrillator locations or see them on a map. The defibrillators are grouped into town or village locations and listed in alphabetical order of the town or village. If a location only has one defibrillator that is named otherwise the number in that location is displayed. Defibrillators that have 24hour access have a green border. If your phone's location permission set to allow it the distance from your location to the defibrillator location is displayed in metric measurements. N.B. These distances are as the crow flies and are only accurate to about 30 metres. Please check the map before deciding which defibrillator to head to. To see the details of a defibrillator tap the yellow block. The details will display including a link to a map view of that defibrillator. To hide the details tap the top of the yellow block. Defibrillators that have 24hour access have a green icon, others have a yellow icon. Tap on the icon for details of that defibrillator and a "zoom to" link. Tapping the "Locate Me" button will display your location as a blue icon, with a blue circle indicating the level of accuracy, and the two nearest defibrillators. Tapping the + and - signs allows you to zoom in and out of the map. The scale is shown in the bottom left of the page in both imperial and metric measurements.